This modern bed gets five stars in my book for its gorgeous design in a sleek Charcoal & Black Onyx finish and I’m not the only one who loves this kids bed! It’s earned 5 stars in several online reviews and by our customers as well. 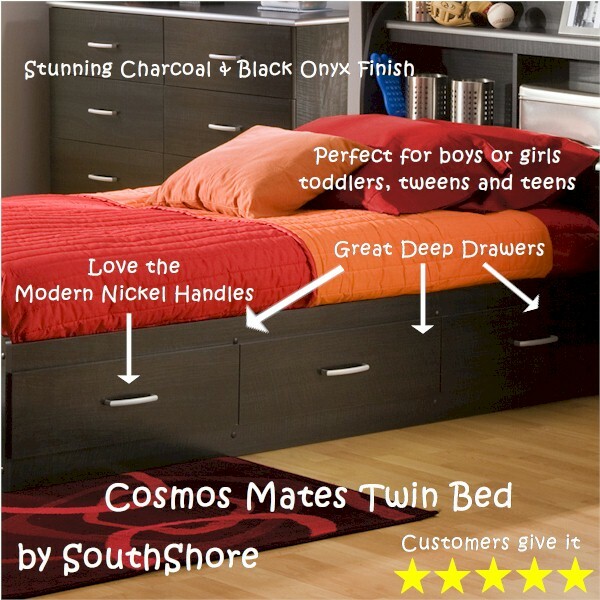 What’s to love about this Cosmos Mates Bed by SouthShore?, you ask. Well, I’ll tell you. 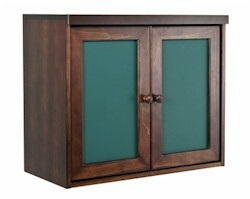 It’s trendy and great for a boy or girl’s bedroom and is low enough for a toddler and roomy enough for a teen and adult. The look is sleek, with a black finish and nickel handles to create a modern vibe in the bedroom. This is one sturdy and stylish sleep space for any age kid or adult. One of our customers mentioned that this bed shipped quickly, was easy to assemble and great for any gender. Customers also love the fact that the drawers can be faced either direction to accommodate any room design. The impressive sturdiness of this Cosmos Mates bed was also mentioned. Better yet, it’s on sale right now for only $299.00 with free shipping, so it’s practically a steal. If you’re looking for a bed that will be loved by everyone who sees it and sleeps in it, then this SouthShore Cosmos Mates twin bed is for you! Your kids deserve the best and only the best and that’s what they’ll get if you add these award winning items by Alex Toys to their playroom. I’ve selected these three amazing pieces because you can add all three to the playroom to create the perfect play space, art area and homework spot. Read below to find out what makes this kids furniture and play structure so special. This super fun activity table has earned the Oppenheim Toy Portfolio Platinum Award meaning it was recognized as one of the most innovative, engaging new products that year. And it definitely deserved this award, thanks to all the bells and whistles that Alex Toys has included with this table and chair set. This activity table includes two benches to allow two or more kids to join in the fun. It also comes with a paper roll holder off the side, plus paper cutter, canvas storage bag along with cups that fit into the cup holes on top to keep art supplies readily available. Not only can kids draw on paper, they can also draw all over the table top because the top is also a chalkboard. If you add this activity table to your child’s playroom he/she will be occupied, happily for hours! This adorable kid’s desk by Alex Toys was awarded the National Parenting Center’s Seal of Approval which means that it was subjected to a multi-step process where several people examined this item and evaluated it on desirability, sturdiness, interactive stimulation and other quality features. Well, this desk passed with flying colors and was approved as a top rate product. That’s no surprise when you see the cute design and lots of extra features that make this one special kid’s desk. This desk offers a child the perfect place for doing homework, having a snack or just goofing around. It has a chalkboard top that’s lots of fun, plus plenty of storage space below. 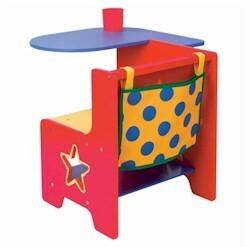 It can be assembled to accommodate a left handed or right handed child and with its spunky design and bright colors it’s sure to entice any child to sit there often. This playhouse also earned the Oppenheim Toy Portfolio Platinum Award for its innovative and exciting design that’s sure to captivate children for hours. This playhouse theater has colorful fabric walls, a stage with working curtains and a chalkboard on the front. It even has a clock for extra fun. This playhouse will inspire kids to come up with tons of puppet shows and can also be used in many other ways that the imagination allows. Reward your children with these award winning Alex Toys products and it will be a win/win for everyone! There’s a reason that the following kids desks are on our best sellers list. Each one is built to last and offers a child a very roomy and organized work space for doing homework, arts and crafts or anything else a kid wants to do at their desk. These kids desks also enhance any room decor with their stylish designs and beautiful finishes. Read below to learn what really makes each of these favorite kids desks a hot pick for a tween or teen’s space. 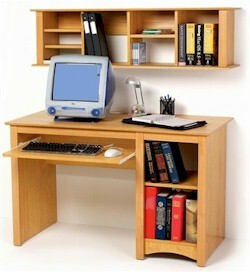 To see all of our kids desks visit us today at SimplyKidsFurniture.com. This desk is both beautiful and functional with its handcrafted design and clever storage spaces. It has plenty of room up top for your child’s computer along with school papers and books, so that he/she can get homework done in no time. Below is a top drawer for keeping most-needed supplies readily accessible and there’s also a hanging file drawer where your child can keep all his/her things in order. 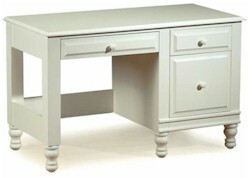 This desk is available in many finishes, but the Distressed White seems to be a favorite! This kids desk offers it all; a spacious top big enough for a computer, plus school and art supplies and two cubbies on the side for even more storage options. Below the desk top is a roll-out keyboard tray. This kids desk is made of a high quality laminated engineered wood for long-lasting durability and the maple finish will go well with most room decors. 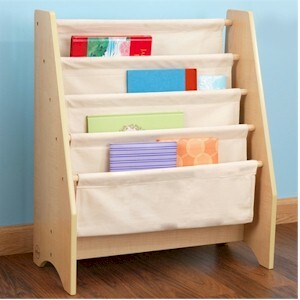 The affordable price tag, beautiful design and great storage space makes this a must-have for any kid’s space. South Shore Furniture understands that today’s innovative kids want modern looking rooms and that’s what this desk from the Element collection will create. This kids desk features clean lines and a sharp looking chocolate finish over durable engineered wood that’s enhanced by metallic drawer handles and dowels. It comes with two drawers that can be hung on the left or right side…your choice. One is a utility drawer and the other is a letter file drawer, so your child has some good storage options. The top is big enough to fit that important computer, plus school books and papers. 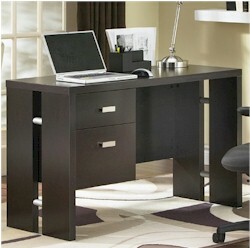 This kids desk is also available in a Florence Maple Finish, but the chocolate seems to be the most popular choice. DaVinci’s Babyletto line is popular amongst parents because of its modern style and reliable durability thanks to superior construction and design. Here are some of the most popular items and what moms and dads are saying about this brand. 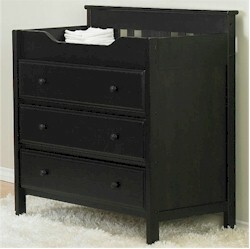 The Babyletto Modo 3-Drawer Changer is a lifesaver when you need more storage space, but space is tight. These three spacious drawers supply just what you need. Parents were pleased with the easy instructions and quick build time. Many felt the modern look of this piece and beautiful finish fit perfectly along with their nursery decor. Parents who wanted to add additional storage to their child’s room loved the Babyletto Storage Unit Open Cupboard because it provided the right amount of space from such a small unit. Stack it on top of a dresser or chest, or let it stand on its own. One parent said she got this shelf because they needed table space in the nursery, but didn’t have room for anything larger. She felt it was perfect in size and height and loved how sturdy and useful it is. 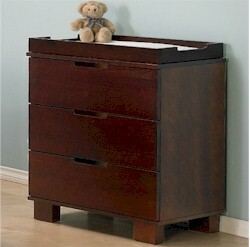 The Babyletto Newhaven 3-Drawer Changer in Dark Chocolate is a stunning, multi-functional nursery furniture addition. A pleased parent reviewed their purchase saying he was pleasantly surprised by how beautiful the colors look, how sturdy the piece is and how expensive it looks. He was also happy assembly only took him 2 hours. DaVinci’s Babyletto furniture line is a winner when it comes to budget friendly pieces that have the kind of modern, classy look you’re after. Depend on the DaVinci brand to provide outstanding nursery furniture you can enjoy for many years.